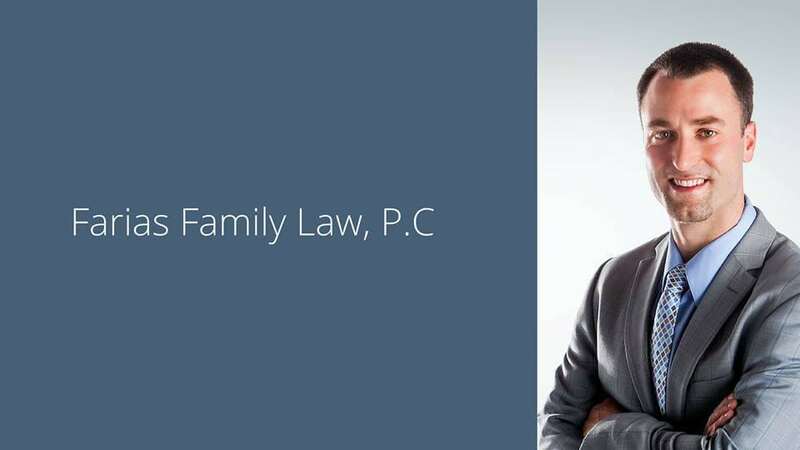 I might need a divorce, where do I begin | Farias Family Law, P.C. I might need a divorce, where do I begin!? Take these 3 steps. Your relationship is going south (or is already there). It makes you ill to even think about the fact that divorce may be on the horizon. Could this really be happening? All the time, love, and energy you put into this marriage. And now it may be all over. There aren’t many life events that can be as stressful as divorce: maybe death or a serious illness, but divorce can feel like one of those tragedies, especially if there’s a lot on the line. If you’ve been married only a short period of time, have very little assets, and no children together, it may be difficult for you emotionally to accept that it’s over, but your divorce should be quick and painless. But for many people who have been married for awhile and/or have children together, it can be a bit more complicated. What will your financial future look like? Will there be alimony? What’s going to happen with all of the assets and debts? If there are children, what will the arrangement be for them? It’s not easy to face these issues. But burying your head in the sand hoping that they’ll go away will only increase your stress when the pressure eventually mounts for you to start making decisions. And if you’re waiting until then to act, you’ll be reactive, rather than prepared and proactive. And being reactive significantly increases the chances that you’ll make bad decisions. It may be time to accept that divorce is a real possibility and that you need to take action. Below are a three steps you can take to put yourself in a good position to effectively work through your divorce. Divorce often involves disappointment, betrayal, fear, and even anger. Allowing these emotions to rule your judgment when going through divorce can bankrupt you emotionally and financially. It all begins with your mental state. If you’re in a healthy frame of mind, you’re likely making decisions based on objective analysis and sound judgment. If you’re not mentally prepared for the process, you’re probably going to make costly mistakes. In divorce, you’ll be making important decisions about what your goals are and what you’re willing to sacrifice to achieve them. If you have assets, how will those be divided? If there’s a significant disparity in income, will there be alimony? If there are children, who has custody, what’s the parenting time breakdown, is there child support? To optimize your chances of making good decisions, you’ll benefit from being in a calm and optimistic state, which will help your reasoning and lead to better judgment. How do you get there? It depends on your needs. Some people can get there by simply focusing on the basics: getting enough sleep, exercising, eating well, drinking healthy amounts of water, meditation, practicing gratitude, and increasing connection with loved ones, friends or community. How is this stuff going to help me with my divorce? Simple. If you’re not taking care of yourself, you’re increasing the likelihood of making poor decisions. And poor decisions in your divorce result in potentially serious problems down the road. Using your divorce to “get back to the basics” with consistency puts you well on your way to an optimal mental state, which significantly improves your chances of a good outcome. You don’t have to overhaul your habits and life to see benefits. In fact, if you try to make too many changes at once, you may end up making none. Start with one or two changes, attain consistency, and build on that. Some people are rocked a bit harder by divorce, and can’t even get themselves to begin thinking about what they should do. That’s where counseling may help. Many of our clients have done well with psychologists focusing on cognitive behavioral therapy (CBT), which is aimed at improving mental health by challenging and changing unhelpful psychological distortions and behaviors, improving emotional regulation, and developing coping strategies to help solve problems. But there are other methods that work too. Explore your options for help. The key is that you recognize that getting yourself to a point of stability and clarity is a key first step. Start with the basics, don’t be afraid to seek outside help if necessary, and put time and effort into working on yourself, so you’re in the best position possible to deal with this significant life event. As a bonus, you may develop skills and habits that will improve your quality of life beyond divorce! With your financial future on the line, as well as the time you spend with your children, if you have any, it may be a good idea to at least learn the basics about divorce. Thankfully, we live in an age of information-abundance. It’s everywhere, and it’s free! There are a number of valuable and reliable resources online that you can access for a crash course on divorce. There are also a number of quality divorce attorneys who regularly produce valuable divorce content. You can google your questions and find helpful information on contested versus uncontested divorces, property division, alimony, child custody, child support, and other issues. Informing yourself up front may save you a lot of pain and expense later. It will also position you well to maximize the value you receive from the next step. Abraham Lincoln once said, “He who represents himself has a fool for a client.” Again, if your marriage was very short and you have no assets or alimony on the line, and no children, there’s no reason to invest in advice from an attorney. You should be able to work out the terms of your split, and may only need some help drafting documents to finalize your divorce. But if there’s a significant amount of assets, support, or time with children on the line, you need to talk to someone who knows the landscape well and can educate you and advise you on how to proceed. And you need to so it sooner rather than later. Let me be clear: if you can work out some or all of the terms with your spouse, you’ll save a lot of time and money. However, if you go into negotiations blind - not knowing what you’re entitled to and what a fair outcome is under your circumstances - you can do irreparable damage to your position and chances of an efficient and fair resolution. How can that happen? For example, in an effort to “just get it over with” or acting out of shame or guilt, you may make an offer to your spouse that’s not in your best interest. Then when you later figure out that was a mistake, you’re going to have a difficult time explaining that to your spouse without starting a war. Learning up front what you should be asking for and what a fair outcome would be helps you frame your conversations with and requests to your spouse, which increase the likelihood of efficiently arriving at a fair settlement. The only way to get that information is by meeting with an experience divorce lawyer. How do you find a reliable attorney? There are a couple of ways. First, you can ask trusted family members and friends for their recommendations. The more opinions you get, the better. Remember, sample size is relevant. If you only have feedback from one person about an attorney, that may or may not be reliable. So word of mouth is important and you should certainly consider it. But you should also try to verify their suggestions. How do you do that? You can take advantage of the information available online about attorneys. There are a number of sites that allow people to review attorneys. Read the attorneys’ reviews and see what the market is saying about the quality of service and representation. Again, generally the more reviews you see, the more reliable the information. Also, as a general rule, it’s better to hire an attorney who focuses on the area of practice relevant to your circumstances - family law and divorce. If you have a serious heart problem, you probably wouldn’t rely solely on the advice of your primary care doctor - you’d want to see a heart specialist. Same idea applies in law. Selecting an attorney who focuses on your area of need increases the likelihood that you’ll receive higher-quality representation. An in-depth assessment by a reliable attorney can equip you with the information, planning, and guidance you need to optimize your chances of a good outcome. It’s difficult to stare divorce in the face. It’s much easier to wallow in denial and hope that your problems go away. But if they don’t, and you have to face divorce unprepared, you’re compounding the misery. Pull yourself together by taking care of yourself, leaning on those you love, and accepting help from others if necessary, educate yourself on divorce, and talk to a reliable divorce lawyer sooner rather than later.